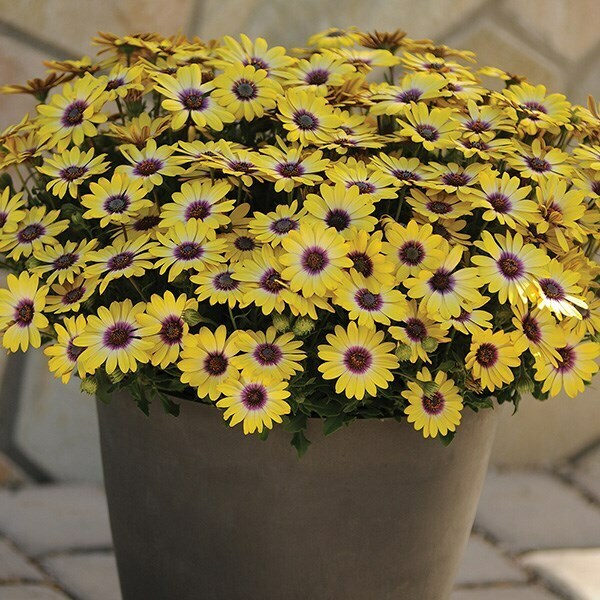 Buy Osteospermum Blue Eyed Beauty ('Balostlueye') (PBR) African daisy: Long-lasting display from early summer to mid-autumn. 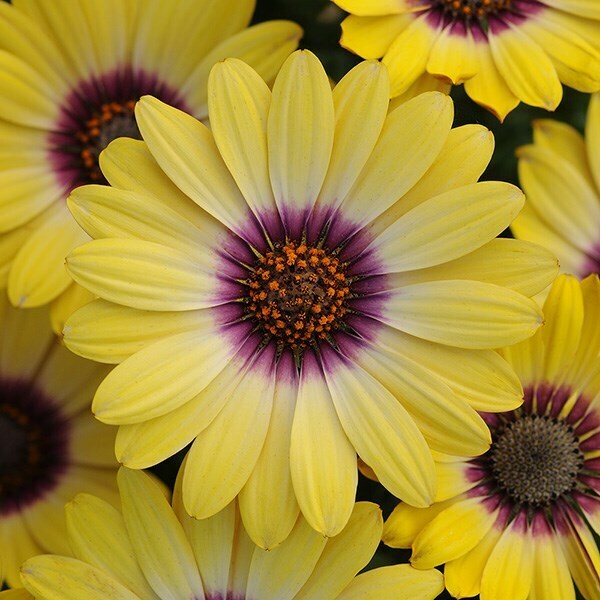 These beautiful daisy-like flowers will produce a long-lasting display from early summer to mid-autumn. Their buttermilk yellow 'petals' fade to white at their base, which creates a ring around the contrasting magenta-blue eye. Great for the front of a sunny garden border, or for potting up on the patio. Garden care: Avoid winter wet and protect plants in colder areas. Plants grown in pots can be moved to a sheltered spot to overwinter.